Zimbabwe will play 4th ODI against the United Arab Emirates (UAE) in the on-going 4 match series at Harare Sports Club. Zimbabwe has won three ODIs in a row as UAE has been unable to put any amount of pressure on the Zimbabwean side. UAE cricket team will play for pride in the last ODI and will try their level best to win and avoid a whitewash. 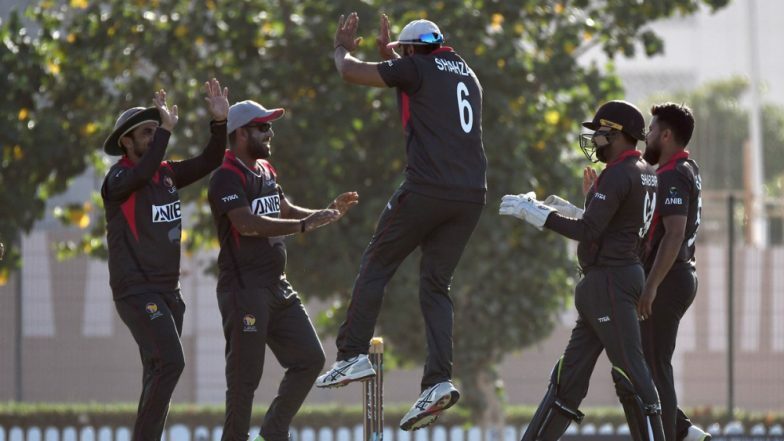 Meanwhile, if you are looking for ZIM vs UAE 4th ODI, 2019 live online streaming and telecast details, scroll down for all the information. Zimbabwe vs United Arab Emirates Live Cricket Score 4th ODI Match. Zimbabwe defeated UAE in the 3rd ODI by 131 runs after posting a total of 307. Zimbabwean batsman Sean Williams scored an unbeaten century of 109(84) in the last match. Craig Ervine who is on a roll in this series also scored a half-century in the previous game. Except for CP Rizwan and Muhammad Usman, none other UAE batsmen were able to trouble the scoreboard. ZIM beat United Arab Emirates by 131 runs | Zimbabwe vs UAE Live Cricket Score 3rd ODI Match. The fourth ODI between Zimbabwe and UAE will take place at the Harare Sports Club. The ZIM vs UAE 4th ODI action starts at 01:00 p.m (IST). Where to Watch the Live Telecast of ZIM vs UAE 4th ODI? The official broadcaster of the Zimbabwe vs UAE ODI series is Orbit Showtime Network (OSN). However, its live coverage will be available only in middle-east on OSN Cric channel. In India, unfortunately, there will be no telecast of the ZIM vs UAE ODI series. Where to Watch Free Online Live Streaming of ZIM vs UAE 4th ODI? With no live telecast available in India, there will be no live online streaming of ZIM vs UAE 4th ODI. Fans in middle-east can head to OSN’s official website to find out if any live streaming is available or not. For the live score updates and the ball-by-ball commentary of ZIM vs UAE 4th ODI, fans can click here!